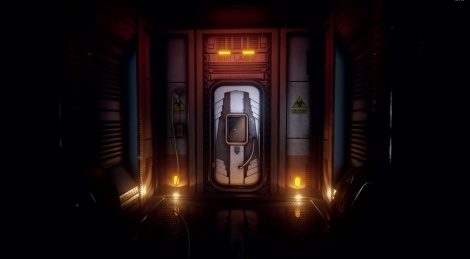 Until today's main dish is ready for later today (WipEout Omega Collection is on its way on Gamersyde), let us introduce you to Conarium, a first person adventure games by the guys behinds the Darkness Within series. Those who are interested in Lovecraft and his Cthulhu universe are clearly the main targets here, but even those who are not could find somehting interesting here in terms of atmosphere. Don't expect an action-packed experience though, as you would definitely be disappointed. 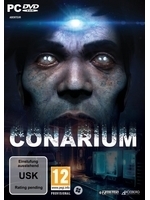 Contrary to what it seems, Conarium is not another one of those horror games in which you have to run for your life regularly. In the whole game, we had to run away twice, in very scripted and short sequences. The core of gameplay then relies on exploration, the discovery of documents (written and audio) and puzzles. Thankfully, the latter are well-integrated in the game and they never frustrate the player. Being an adventure game with narrative elements, Conarium is rather slow-paced, which means it's evidently not aimed at action fans. Despite that slow pace, Zoetrope's title is however not very long, unless you decide to find all the documents (we advise you to take the time to read them all) and secrets and you want to see all the available endings. Conarium may not be a must-have, but it's a game we've enjoyed playing from beginning to end, with a real attention to its raw material, aka Lovecraft's work. Considering it is the result of a team of 3 people, we are pretty curious to see where Zoetrope will take us in their next project. Maybe I sould get Darkness Within?